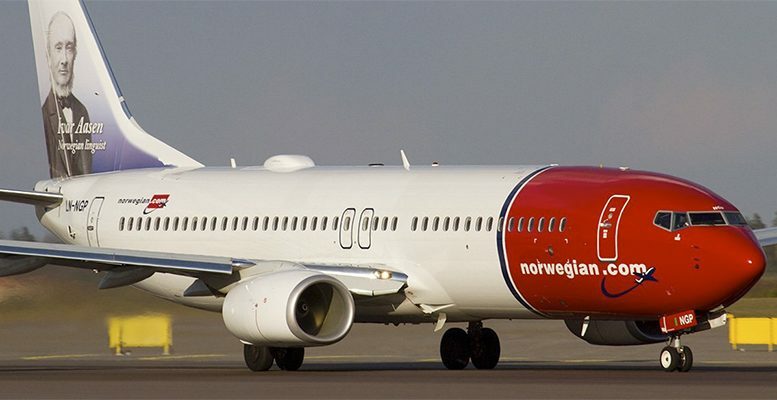 IAG has bought 4.61% of Norwegian Air. And according to Bloomberg, the Spanish airline could be considering making a bid for the whole company. IAG’s interest in the low cost long-distance segment (where Norwegian operates) seems clear, given that it created an airline last year with these characteristics called Level. Norwegian has expanded a lot in the last few years (it’s bought 32 planes, taken on 2,000 employees and opened up new long-haul routes). This has implied an additional financing effort, with revenues up 19% at 3.183 billion euros, but with net losses of 31 million euros and debt multiplying to over 2 billion euros (7x EBITDA) 2017. Its share price has taken a big hit as a result (-50% since highs of 2016). Bankinter analysts estimate that the company will have invested some 34 million euros, taking as a reference Norwegian’s closing share price the day before yesterday, given that yesterday it rose no less than 47.2% (to 264 NOK) on trading volume of approximately 10 times the normal due to the speculation that IAG could end up making a full bid. Most research houses believe it’s highly likely that IAG will end up buying Norwegian, because it’s a good strategic fit. Bankinter also provides some arguments in favour of the operation. IAG and Norwegian’s routes are, generally speaking, complementary: the first is leader in the UK/US + Spain/LatAm. Meanwhile the second one’s strength is the Nordic countries/southern Europe (although 19% of its operations compete with Vueling from Barcelona). Whatsmore, it would fit in with the strategy of a holding company based on brands and routes. IAG is today a holding based on a portfolio of complementary brands and routes (Iberia, British Airways, Vueling, Air Lingus and Level) which makes sense in a sector in continual consolidation. From this point of view Norwegian would fit in as another “piece”, contributing specialisation in routes which are complementary with IAG’s current routes. With the operation, IAG would get rid of a competitor in costs and routes which, in addition, starts to cause some damage to its margins when Norwegian competes on certain routes with Vueling from Barcelona and with a low cost focus. Finally, the cost can be assumed from a strategic point of view, even after the strong speculative rise in Norwegian’s share price yesterday (after which its market capitalisation is 1.1 billion euros). The final impact in the short term on IAG’s share price will probably be slight negative today (-2%/3%?). That is because although the operation’s good strategic fit would partially offset the dilution, the effect of this will be noted in the very short term. It’s possible that the acquisition won’t be able to be made without paying a considerable premium due to two factors: the company’s growth potential after the significant investments made; and a solid shareholder base which wants to remain on the board. The Chairman and CEO hold 26.8% of capital. On the other hand, there is the possibility that the competition authorities won’t back the operation or impose conditions. Currently, Norwegian has a market capitalisation of around 1 billion euros, which added to the debt would mean the transaction would not be much less than 2.5 billion euros ((~1,3x NP, ~15% EV de IAG). And finally, Bankinter fears that the operation will be dilutive for IAG, at least in the short-term.